What grade is your of whey protein? Whey protein is derived from milk during the making of cheese through a natural fermentation process. Cow's milk contains two types of protein, one that consists of 80% of casein protein and the other 20% of whey protein. When cheese is created, the casein is the part of the milk that makes up the cheese, and the whey protein is the liquid that is left over after you separate out all the milk solids. Smaller components: iron binding proteins (lactoferrin, lactoferricin), calcium, potassium, sodium, phosphorous, folic acid, biotin, and vitamins A, C, B1, B2, B3, B5, and B12. Whey is made up of many smaller protein subfractions such as beta-lactoglobulin, alpha-lactalbumin, and immunoglobulins (IgGs). Each of these subfractions has its own unique biological properties. The protein subfractions are made out of amino acids. Like all proteins—chicken, beef, egg, soy, rice, hemp, and so on—whey is composed of amino acids, which the body can use for muscle growth and tissue repair. But it's whey's high concentration of branched-chain amino acids (BCAAs), especially leucine, that sets this protein apart from the others. What Does Whey Protein Do In The Body? For starters, whey is a complete protein, meaning it has all nine essential amino acids necessary for protein synthesis. We call these amino acids "essential" because your body can't make them and therefore you must consume in them in your diet. Whey is particularly high in the group of three essential amino acids known as BCAAs: leucine, isoleucine, and valine. These help to build and maintain muscle and can also serve as an energy source during prolonged or intense workouts. Leucine, specifically, has been shown to have the greatest impact on rates of muscle protein synthesis, the process that makes your muscles bigger and stronger. One 25-gram scoop of whey protein has approximately 3 grams of leucine. Compare that to only 2.3 grams per scoop in casein and 1.5 grams in soy. Since the threshold for activating protein synthesis occurs right around 2.5 grams of leucine, whey is a sensible choice for athletes looking to boost growth, recovery, and performance. 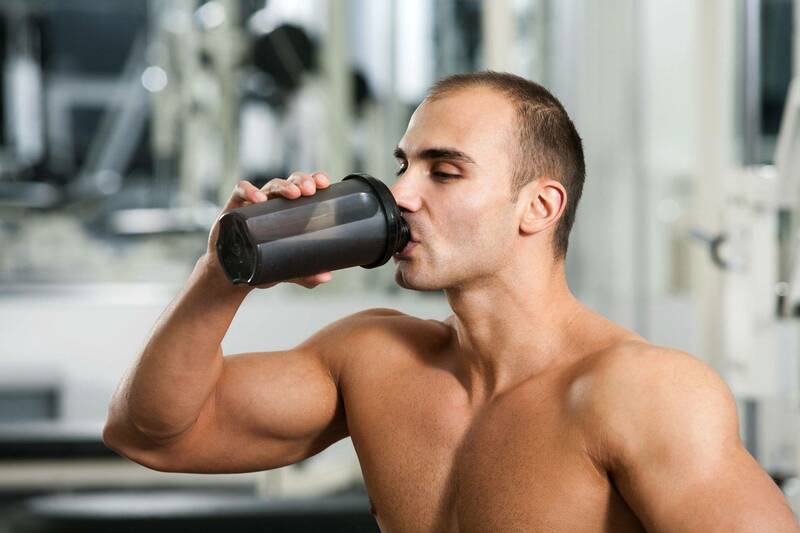 What's the Difference Between Whey Concentrate, Isolate, and Hydrolysate? Whey Protein Concentrate Whey concentrates contain 70-80 percent protein, with low amounts of lactose and fat (but not as low as an isolate). Many people think whey protein concentrate is inherently inferior to isolate, but a well-made whey concentrate may in fact be a better choice than a whey protein isolate, depending on your goals. Though whey protein concentrates will contain less protein on a gram-for-gram basis than an isolate, a high-quality concentrate contains more of the other helpful compounds found in milk. Good concentrates contain far higher levels of growth factors, phospholipids, and lipids, such as conjugated linoleic acid (CLA), and they often contain higher levels of immunoglobulins and lactoferrin. Whey protein isolate has had almost all fat and lactose removed, boosting its protein concentration to 90-95 percent protein. Some people who have trouble with milk do better with whey isolate than concentrate. Hydrolysed whey is often referred to as "pre-digested," because it has already undergone partial breakdown. This reduces digestion time compared to the other two forms of protein. Both whey protein concentrate and whey protein isolate can be made into whey protein hydrolysate, so its protein content can vary. Ion exchange: Ion exchange protein powder is made by taking a concentrate and running it through what is called an "ion exchange" column to get an "ion exchange whey isolate." The benefit of an ion exchange isolate is that it gives you the very highest protein content per gram, but the higher protein content comes at cost: a loss of many of the milk subfractions unique to whey. Micro-filtered whey: Micro-filtration, also called cross-flow micro-filtration, is a processing method that uses low temperatures. It allows for the production of very high protein ratios (over 90 percent), the retention of important milk subfractions, and extremely low fat and lactose contents. Micro-filtration is a natural non-chemical process which employs high tech ceramic filters, unlike ion exchange, which involves the use of chemicals such as hydrochloric acid and sodium hydroxide. Micro-filtered whey isolate also contains high amounts of calcium and low amounts of sodium. It would be easy to assume that whey protein isolate and hydrolysate are far superior to simple whey concentrate. But the fact is, long-term studies have yet to show that one form of protein powder is superior for muscle growth and tissue repair compared to the others, so pick the one that best fits your lifestyle and budget. If you're after the best-tasting protein or are on a tight budget, sticking with a whey protein concentrate makes sense. The extra carbohydrates and fat in a concentrate provide creamy milk flavor (and it's still far from a high-carbohydrate protein). On the other hand, if you are dieting down or counting your carbohydrates, a whey protein isolate is a popular option. If you have a mild intolerance to lactose, or suffer from GI problems every time you have a protein shake, you may want to try a whey protein isolate (which contains less lactose) or whey protein hydrolysate. Whey protein supplementation combined with resistance exercise appears to offer up greater gains in muscle strength and muscle mass over just resistance exercise alone. A study published in the International Journal of Sport Nutrition and Exercise Metabolism concluded that those who supplemented with whey protein during resistance training had an almost 5-percent (or 5.5-pound) greater increase in lean tissue mass compared to those who didn't supplement. And compared to other forms of protein, like casein and soy, whey reigns superior when it comes to greater improvements in muscle strength and size. Following a 10-week intense training program, resistance-trained men who supplemented with whey protein isolate had significantly greater gains in strength and lean body mass, and a decrease in body fat, compared to the group that supplemented with casein. Protein is known for its ability to support healthy weight loss because it's the most fulfilling macronutrient compared to fat and carbohydrates. Higher protein diets can also help boost metabolism, leading to long-term weight loss. Supplementing with whey protein is an easy way to increase your daily protein intake, and when combined with a reduced-calorie diet, may help you lose weight. In one 2008 study, obese participants who were given a whey protein supplement lost significantly more body fat and maintained more muscle than the placebo group. That doesn't mean you can get away with skipping resistance exercise, it just means you'll get more from your training with whey protein supplementation. Along the lines of supporting healthy weight loss, whey protein has been shown to increase satiety and reduce short-term food intake. A 2009 study compared the effects of different protein sources on appetite and found that whey protein decreased hunger more than soy or casein. Furthermore, the amount of food consumed three hours after the protein meal was lowest after the whey protein meal. Balanced source of essential amino acids and peptides. High protein efficiency ratio: One study showed that milk protein is taken up by the body better than soy. Excellent source of branched-chain amino acids (leucine, isoleucine, valine): Leucine is a crucial amino acid for new protein synthesis, or muscle building. Crosses stomach quickly and is rapidly absorbed in the intestine (vs. casein which exits the stomach much slower). Fast-acting whey protein is commonly taken in 25-30-gram dosages, either 1-2 hours before your workout or immediately post-workout. No, you don't have to slug back a shake within a 30-45-minute "anabolic window" after a workout to get the health benefits. Anytime within a couple of hours is probably just fine. But, if the immediate post-workout ritual of having a shake helps you remember to have one, do it! Whey is a versatile nutritional power tool. It makes a great appetite-curbing snack between meals, or it can be added it to your breakfast oatmeal or smoothie. You can even bake with it. Can You Have Too Much Whey? Too much protein can lead to some GI distress (and the dreaded protein farts), but there are no studies to suggest higher protein diets can lead to kidney damage, bone loss, or dehydration in healthy individuals. If you want to get systematic about your whey and avoid any digestive unpleasantness, calculate your recommended daily protein intake, then spread your intake across several doses of 25-30 grams. For many, this is a more sustainable approach than trying to cram as much protein as possible into three meals. Once you have a daily number to aim for, a whey protein supplement and a healthy diet can be sufficient to hit your daily intake goals. While shifting some of your targeted caloric intake to whey protein can help you lose fat, it's not enough if you want to gain muscle mass. You still need to eat a caloric excess beyond what you burn to build muscle. In addition to getting plenty of whey powder and dietary protein, also make sure you're getting adequate healthy fats and complex carbohydrates so you have enough fuel for growth. No matter if your goal is to increase muscle, reduce body fat, or control hunger, whey can help. No, a shake isn't a replacement for a proper nutrition and training plan, but a quality whey protein supplement can be important in helping you change your body composition and get the most out of your training.